Make sure you know where to park when visiting Mt Seymour Resort or Mount Seymour Provincial Park. 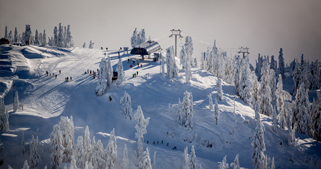 Named the #1 Resort for Snowshoeing in North America by Snowshoe Magazine in 2012, Mt Seymour offers a variety of trails exclusively for snowshoers providing a place of beauty and solitude. Enjoy the scenic lakes, old growth forests and undulating trails on your own or with an experienced guide on one of our popular snowshoe tours. Gentle trail options, regularly maintained and well-marked trails with trail maps at every junction. Hundreds of pairs of snowshoes to rent no need to prebook. Fill in our rental waiver before you come to save time. Many loop options with varying difficulty levels, perfect for hill training and sprints. Our trails offer fitness training options like no other! Scenic lakes, towering trees, and plenty of animal tracks after a fresh snowfall. 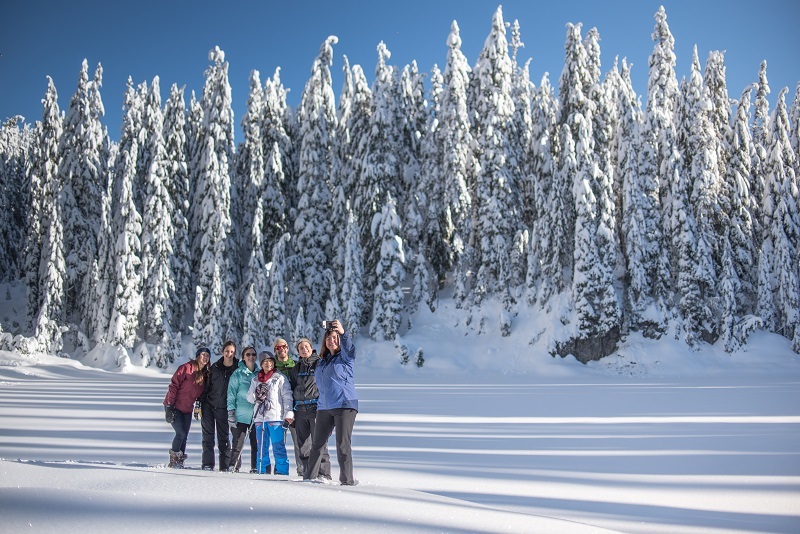 Mt Seymour also offers guided snowshoe tours for groups and schools. For more information, please visit the Group Activities page.